More often than not, victory walks in on a bicycle when vanity is sanguinely sailing the skies. The cymbals have ceased and the soldiers are back in their camps: the one to savour success and the other to debate the debacle. But India, after the battle of the ballot in Bihar will never be the same again. A national political realignment has begun. Two crushing blows in a row – Delhi and now Bihar – has the garrulous Narendra Modi government dumbstruck. Even as it seeks to brazen it’s way out of the cul-de-sac with hurried announcement of a long pending reformist agenda, a third setback hovers menacingly on the horizon. Incidentally, it was not Pakistan where crackers were burst after the BJP defeat in Bihar but in Amit Shah’s own Gujarat. And not in some isolated cases but in most cities , town and villages of the state! Modi and party chief Amit Shah’s bastion, Gujarat, is under siege. Though State Assembly elections in Gujarat are due only in 1917, a two phase poll for 323 local self-government bodies covering a large chunk of it’s 3,78,15,306 voters constituting 65 per cent of it’s total population are set to vote this month. These include six out of it’s total eight municipal corporations, 230 tehsil panchayats, 56 municipalities and 31 district panchayats .The BJP presently rules 150 tehsil panchayats, 42 municipalities, 30 district panchayats and all the eight municipal corporations. With Gujarat in the grip of a full-scale rebellion by it’s numerically strong and financially stable Patidar community, the Anandiben Patel-led BJP government faces the most torrid test of it’s 18 month old government. Patidar (Patel) community constitutes about 14 per cent of the total 63 million Gujarat population. The chief minister herself is a Patel as is the state BJP chief RC Fardu and seven of the 24 ministers and 42 of the total 182 legislators belong to the community. With 21 per cent voter representation, the Patels are demanding caste based reservation under the Other Backward Class (OBC) category. Led by a 22 year old youth, Hardik Patel, the agitation has witnessed a violent statewide upsurge that led to 8 people losing their lives and Rs 25,000 crore in losses to public property and business in just under a week of violence in August. Hardik and his associates have been booked under sedition charges and are behind bars and this has only added fuel to simmering fires. While the existing reservation beneficiary classes including the OBCs had made known their opposition to the Patidar demand, ironically they are now on the same side after RSS chief Mohan Bhagwat’s famous rethink statement on reservations. Turned into a BJP fortress under the almost 13 years of Modi rule, Gujarat is belatedly feeling a roll away effect. An entire community is publicly going all out to defeat the BJP. Banners have come up outside residential societies announcing the imposition of ‘prohibitory’ orders on the entry of BJP candidates or poll canvassers. “Vote the Congress to defeat the BJP” is the slogan all over. BJP candidates are finding themselves in such a pitiable condition in many places that they are being hounded out by people. Such is their plight that in Unjha town considered the cumin seed trading capital of the country, the BJP could not put up a single candidate under it’s lotus symbol and had to do so as independents .A top Congress leader Dhiru Gajera (Patel) in Surat who was planning to switch sides faced such an onslaught from his community that he had to make a hurried announcement that he would not do so. “The kurmis in Bihar have shown their power by voting full scale against the BJP with clear results. Now watch out for our revenge in Gujarat”, points out Patidar leader Atul Patel. Congress, for long the underdogs, are now the beneficiary of this unforeseen largesse. A concerned chief minister Patel ordered a study of their prospects by her CMO and the results paint a grim picture. The number of sensitive booths is up by leaps and bounds and the state government has asked for 100 companies of paramilitary forces for peaceful conduct of the polls. The state government had desperately tried to stall the elections even getting an ordinance passed by the state governor on the recommendations of the State Election Commission (SEC). However the High Court struck down the ordinance and gave a mouthful to the SEC directing it to hold them forthwith. “If elections can be held in Jammu and Kashmir ,surely you can too ”, it stated. Things are bad for the BJP in Gujarat for these polls ,say political observers. Thus it is that two of Prime Minister Narendra Modi’s closest confidantes are in deep trouble. 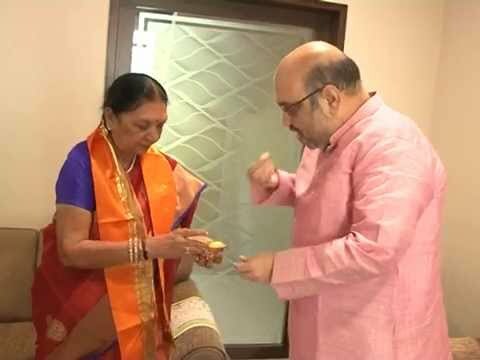 While party president Amit Shah is facing flak for the Bihar debacle, Anandiben Patel is being targeted by her own community leaders within the party. In the case of Shah, veterans LK Advani, Murli Manohar Joshi, Yashwant Sinha and Shanta Kumar have already made public their demand for accountability. This in short is the demand for Shah’s head with party MPs from Bihar also chiming in. Modi is not one to give in so easily because it is through Shah that he maintains a cast iron grip over the party apparatus. Similarly, in Gujarat the agitation was initially backed by party insiders who had taken recourse to this community stir in a bid to target chief minister Patel fully aware that the Prime Minister would not allow destabilising the present government in Gujarat. However, a setback in the ensuing local self-government elections will force a re-think and therefore a question mark on the future of Anandiben Patel stares her in the face. Similarly if the demand for Shah’s removal gains momentum, Modi may be forced to move him. In such a backdrop the likelihood of Shah fulfilling his lifelong desire of becoming the chief minister of Gujarat may find fulfillment as Modi will not trust the state in anybody except his very trusted hands. Anandiben Patel may then find place in the Modi cabinet at the Centre. But before that happens, he will require a trusted replacement for Shah in cut-throat Delhi. Easier said than done!